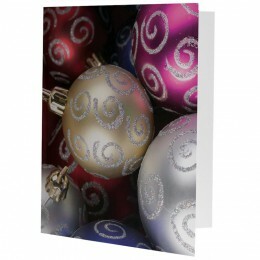 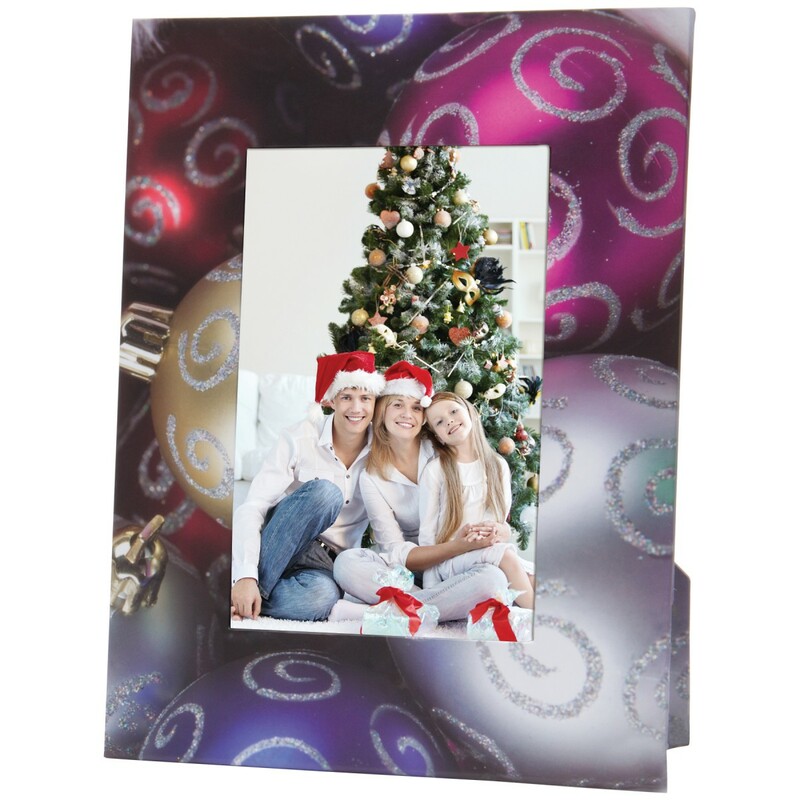 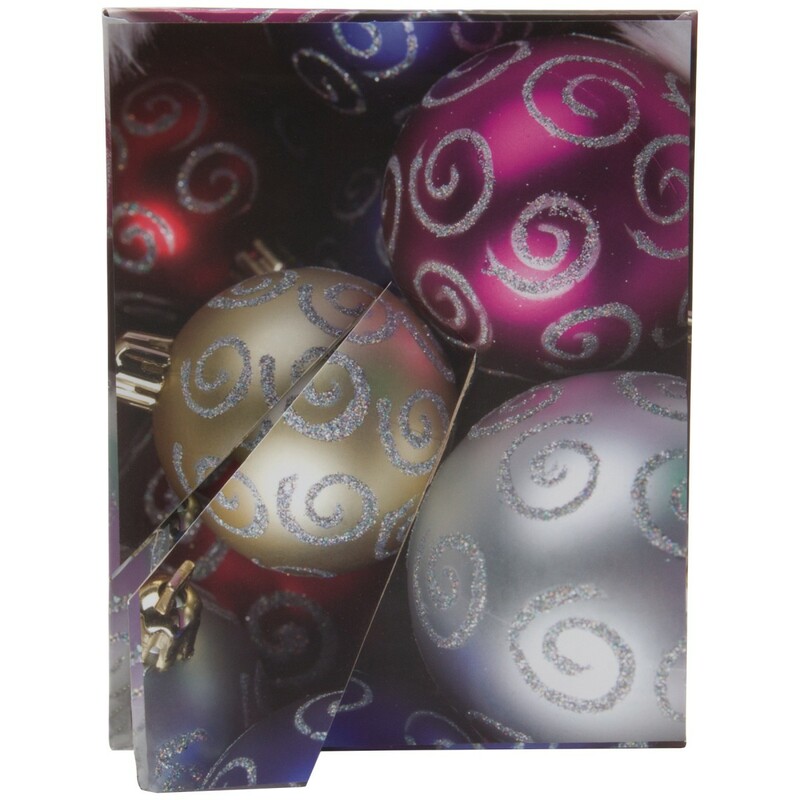 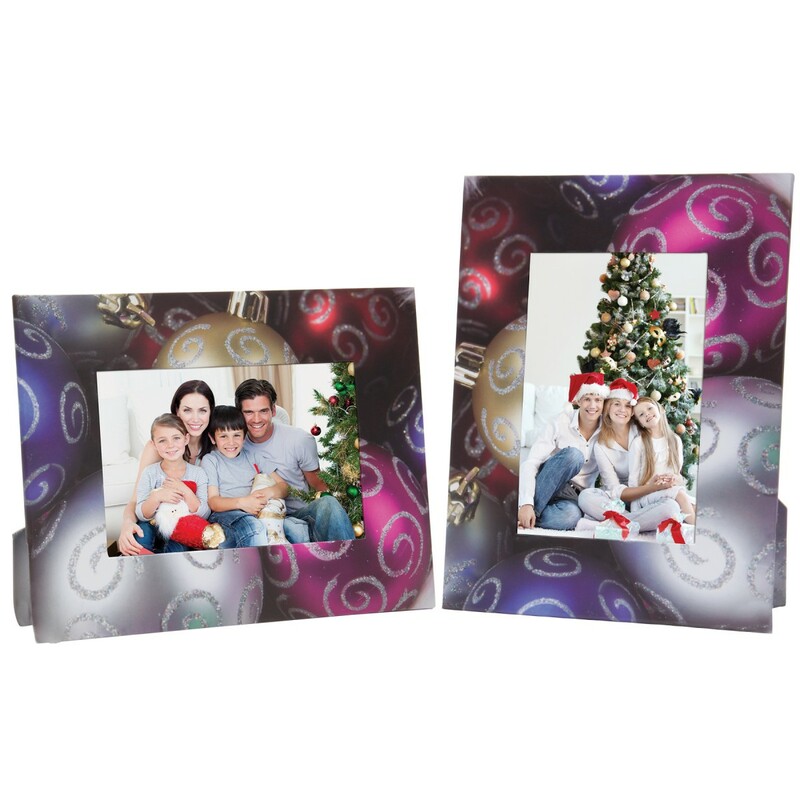 The ornament paper frame offers attractive graphics and economical pricing to enhance holiday photos. 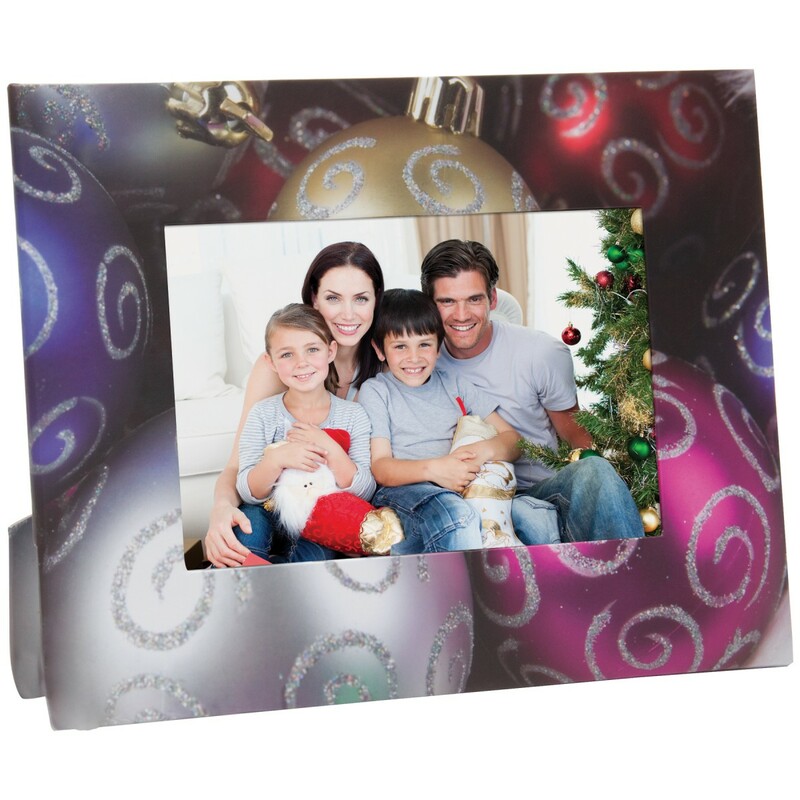 The easy slip-in assembly feature and pull-out easel stand make it versatile for vertical or horizontal photo presentation. 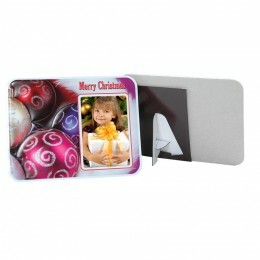 Holds either a 4" x 6", 6" x 4", 5" x 7" or 7" x 5"
Overall Size: 6-3/4" x 8-3/4"
Photo viewing area: 3-3/4" x 5-3/4"